If you read even a handful of the sixty odd role-playing game books published in the 1980s and early ‘90s by Steve Jackson and Ian Livingstone in Penguin’s now legendary Fighting Fantasy series the illustrations by the British artist Peter Andrew Jones will be readily recognisable. 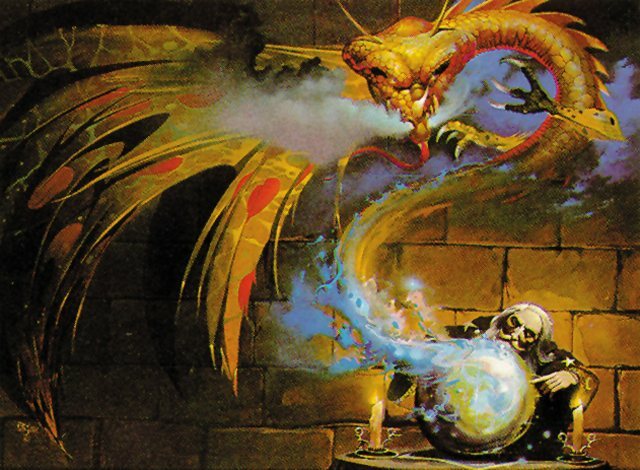 For many people his innovative wraparound artwork for the first in the series, 1982’s “The Warlock of Firetop Mountain”, defined everything else that was to follow and contributed in no small measure to the phenomenal success of the genre. While role-playing books may seem hopelessly quaint when compared to the contemporary world of computers, game machines and handheld devices at the time they captured the imagination of an entire generation of teenage readers. 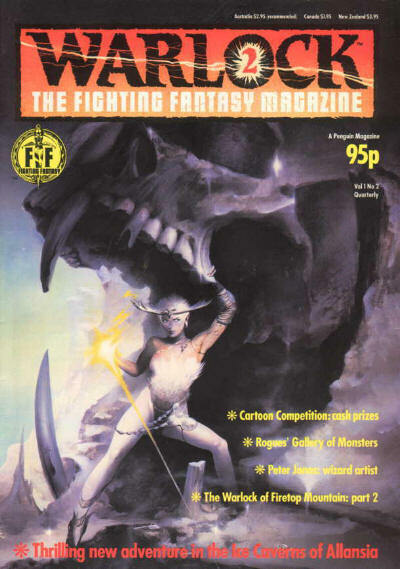 FF publications, with their complex plots and close association with Fantasy art and artists, were far cooler than the thematically similar if culturally more “nerdish” Dungeons and Dragons. Jones himself seemed like an overnight success having entered the field of professional illustrators in the mid-1970s. By 1980 he was so well regarded that his first collection of artworks, “Peter Jones: Solar Wind”, was issued by the Dragon’s World imprint of the much-loved Paper Tiger Books (now sadly defunct). A host of publications went on to carry his beautifully crafted oil paintings, everything from the eponymous FF magazine “Warlock” to books by authors like Isaac Asimov and Marion Zimmer Bradley. By the mid-‘80s he had moved into the emerging area of video games as well as working in the television and movie industries producing a number of well-regarded pieces. He has now expanded beyond the boundaries of Science-Fiction and Fantasy producing aviation and landscape illustrations as well as running his own trading company. For me one of his mid-period paintings, the “Snow Witch” remains a personal favourite gracing the cover of the second issue of Warlock magazine way back in 1984.